Are you going to Nha Trang and have a very short time to see the city ? You can take this kind of tour from arriving the airport. 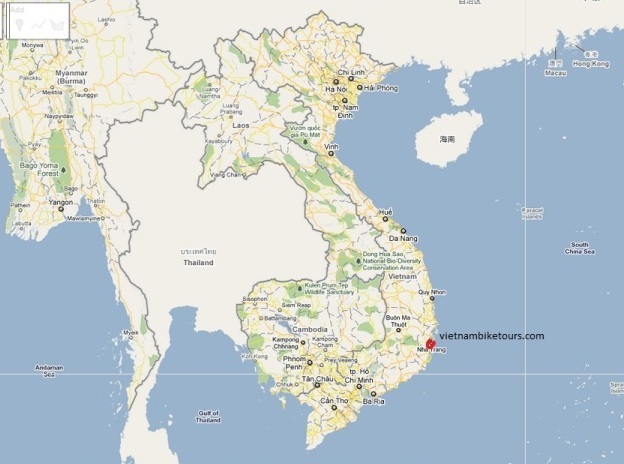 What to see: White sand dunes; Bai Dai beach; Nha Trang bay ; Fishing port . The 25km cycle to these waterfalls takes you past some wonderful stretches of coast and rice paddies. The waterfalls themselves have been left untouched, save for some arrow pointers that guide you over and around the rocks to get to the cascades. We’ll take some time to enjoy the view and swim at all the waterfalls​​. ​Khánh Lê (Heaven Pass) is the longest pass in Vietnam, stretching 33km from Nha Trang to Da Lat. It is a poetic and emotional pass. On this tour we will go from flowers to sea, via the Heaven pass, by bike. We’ll cycle from beach to beach, with mountains on the left and rice paddies on the right. A well-organized trip, this four-day adventure introduces you to two beautiful beach towns and the picturesque scenery between.